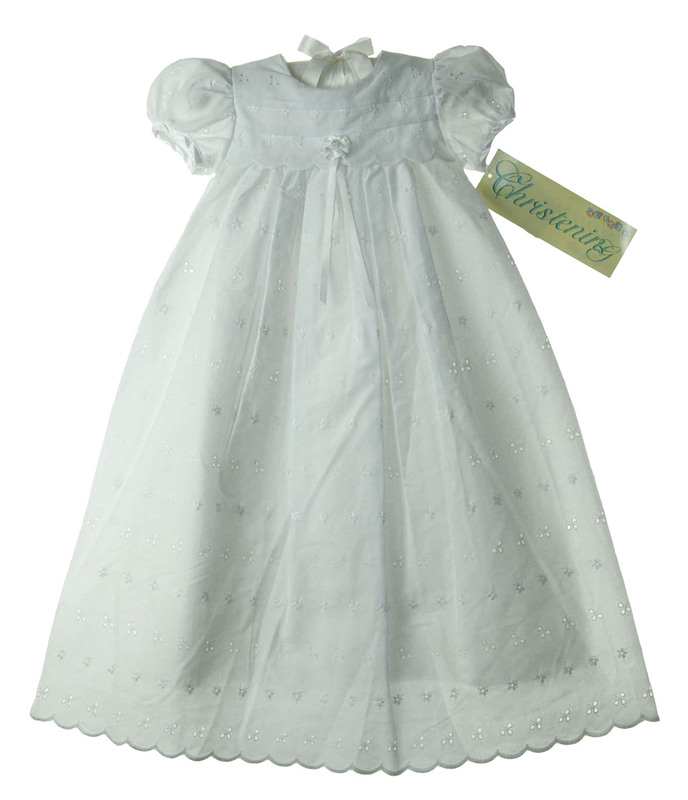 This sweet long white cotton blend eyelet christening gown was made by Alexis. 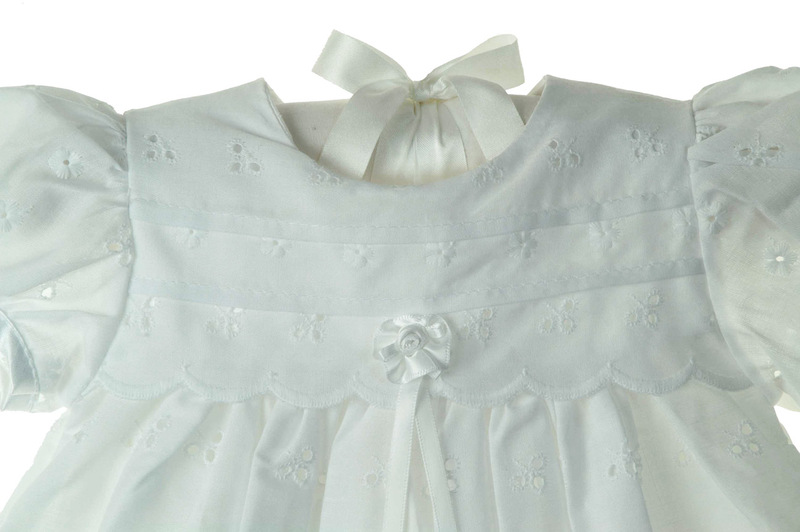 It features a high yoke with horizontal tucks and scalloped trim accented with a white satin rosette. The gown has a simple round neckline and sort puffed sleeves finished white satin bands. 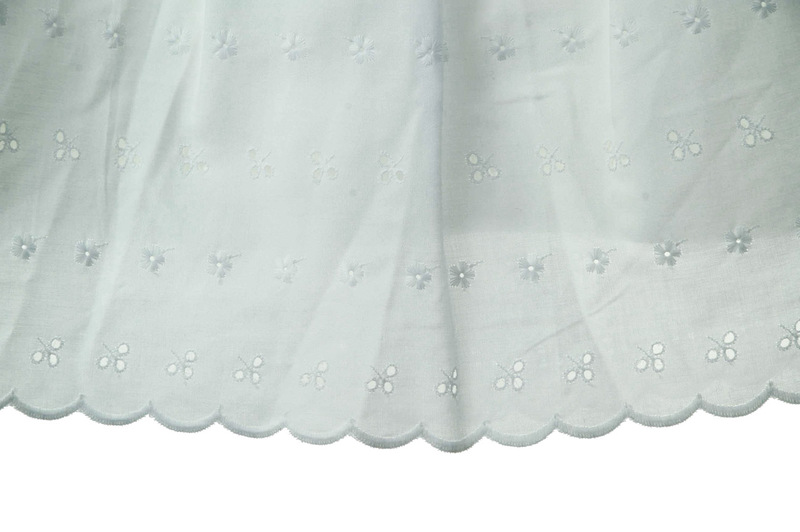 The long skirt has a scalloped hem. The back yoke is white satin with a back buttoned closure. A separate white satin slip is included. What a darling christening gown for your baby girl!